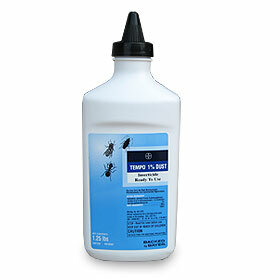 A water-based insecticide concentrate that offers excellent indoor and outdoor pest control. Demand’s micro-encapsulated technology means that when you apply it, it leaves thousands of micro particles that bind to the surface offering long-term protection and fast insect knock-down. A water-based insecticide concentrate that offers excellent indoor and outdoor pest control.Demand’s micro-encapsulated technology means that when you apply it, it leaves thousands of micro particles that bind to the surface offering long-term protection and fast insect knock-down. Demand’s micro-encapsulated technology means that when you apply it, it leaves thousands of micro particles that bind to the surface offering long-term protection and fast insect knock-down.In fact, Demand CS is up to 200 times more active on flies, mosquitoes, and other insects than other insecticides. In fact, Demand CS is up to 200 times more active on flies, mosquitoes, and other insects than other insecticides.Demand CS controls more than 30 common insects including spiders, ants, flies, wasps, fleas, ticks and bed bugs. It can be used both indoors and outdoors with little to no odor or staining. Demand CS controls more than 30 common insects including spiders, ants, flies, wasps, fleas, ticks and bed bugs. It can be used both indoors and outdoors with little to no odor or staining.